SimCity BuildIt and The Sims FreePlay welcomed new features Thursday, courtesy of developer EA Mobile. 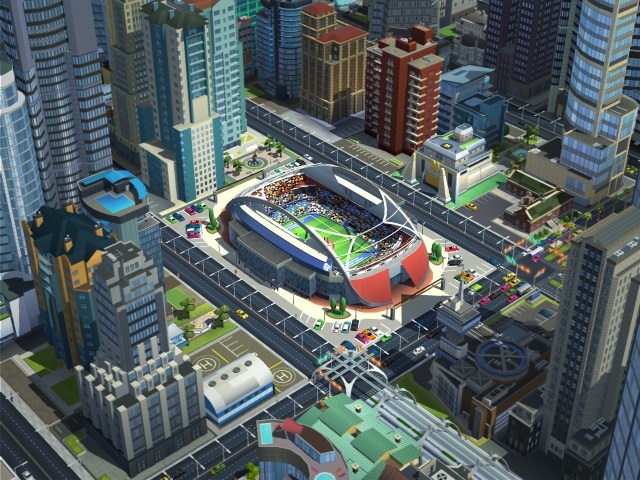 A total of 15 new sports-themed venues were introduced for SimCity BuildIt, and EA Mobile said these additions will help players attract new citizens and boost the populations of their cities. New content will be released every week for the next four weeks, according to EA Mobile, and venues for every type of sport will be included. Meanwhile, The Sims FreePlay has gone Hollywood with its Movie Star update, which allows players to enter the Sim Town Movie Studio and live the lives of A-list celebrities, including managing their Sims through hectic schedules, keeping an eye out for paparazzi and securing and retaining A-list status. SimCity BuildIt and The Sims FreePlay players: What are your thoughts on the updates announced Thursday?